No not the rock band but the ride today. Whilst Ratty was slaving away at work Richard and Greg went out to play in the mud (and water). 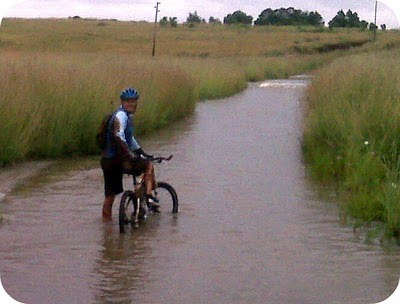 After a few days of rain, the conditions were almost too difficult to ride in. 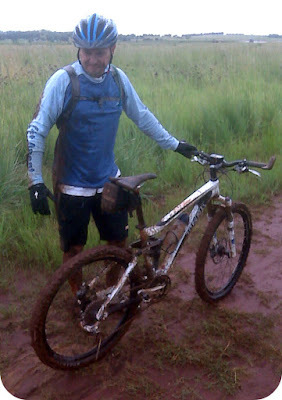 We did another +55km ride and had lots of tumbles in the mud. 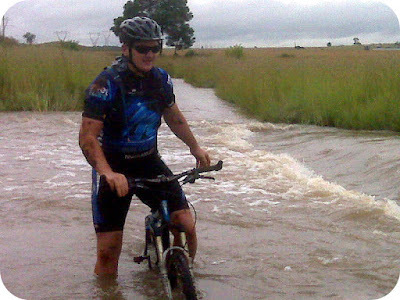 Our bikes were really caked in mud but we came to a small bridge that crossed last week that was now completely flooded (as pictured below) and managed to wash off our bikes.